In the beginning, it seemed that it was just little things. Driving to the store and passing it because you were so focused on driving and the things going on around you. You lose your way in conversations. People have to repeat what they just said, not because of poor hearing, but because you had lost the thread of the conversation. All these little events–losing keys, forgetting friends' names, difficulty following a story in a book – can begin to worry you and people around you. These events may be associated with cognitive decline. Cognitive decline happens when joints become stiffer, arteries harden, and the brain isn't as supple as it used to be. Cognitive decline is a normal process of ageing. It happens at different times and is noticed to affect different elements of people's lives, but it always has the same overall effect. 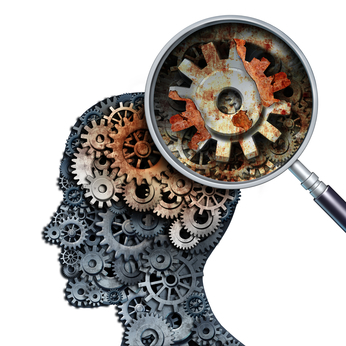 Cognitive decline simply means that your brain doesn't work as well as it used to. Cognitive decline is not the same as cognitive impairment, which is the result of damage, disease or an increased level of cognitive decline from another source. Cognitive decline is a response to the aging of neurons and the decreased speed at which the brain functions. The difference in the two is that every person faces cognitive decline because every person ages. Although it is age-related for most people, the exact cause of cognitive decline is not known. Cognitive decline can be caused by elements of a person's environment that are not conducive to normal brain health. When the body does not receive proper nutrition, it can’t perform as it’s supposed to. Many studies have determined that with malnutrition the brain becomes unable to process thoughts as effectively, has difficulty making decisions, concentration becomes more difficult, and learning decreases. This decline can become permanent if nutrition is not attended to. Age-related cognitive decline, can be the result of many different factors. As a person ages, estrogen levels (especially in women but also effects men) will begin to decline. Although this may have little effect initially, over time it can cause lack of energy and a decline in the brains function. The lining of the arteries harden and blood flow is more restricted to the brain. There is a tendency to focus on the biological aspects of a disease state because they are seen as tangible, measurable, and modifiable. However, more loosely defined facts of our lives related to our psychological condition contribute to our mental fluency as well. The ways in which the brain is utilized and stimulated impacts its functional state at all ages. Research in patients with anxiety has shown that, compared to non-anxious subjects, those with high-anxiety levels must exert greater effort and dedicate more brain resources to maintain the same level of performance on cognitive tests. Studies have also examined the link between depression and cognitive dysfunction. Depression seems to worsen cognitive dysfunction, but poorer cognitive health leads aging individuals to depression as well. While various pharmacologic treatments have been studied in hopes of identifying an effective intervention for preserving cognition with aging, and preventing diseases of the brain such as Alzheimer’s disease. Preliminary data suggests that some drugs may provide limited benefits for brain health, and thus may increase mental and physical activity levels, dietary changes, and optimize brain function with advancing age. Light to moderate alcohol consumption during midlife seems to protect against cognitive decline later in life. Evidence suggests that red wine may be the alcoholic beverage of choice for maintaining cognitive health, as it contains many phenolic antioxidant compounds that are shown to slow the progress of Alzheimer’s disease, and limit the neurological consequences of high cholesterol. A seven-year study including over 5,000 healthy subjects found that those who regularly drank a moderate amount of red wine scored better on every test of cognitive performance than non-drinkers. Coffee is also an excellent source of antioxidant and neuroprotective compounds. It has been suggested recently that the antioxidant compounds in coffee may synergize with caffeine to enhance the protective effect against brain pathology. Decaffeinated coffee does not provide the same level of neuroprotection observed with caffeinated coffee. A study which followed nearly 700 elderly men for a 10-year period revealed that coffee consumption, roughly equivalent to three cups daily, was associated with a slower rate of cognitive decline when compared to those subjects who did not drink coffee. There are many ways to prepare yourself for the challenges you may face with cognitive decline. Take control of your own health by taking a health risk assessment to see if you are as healthy as you think you are or have anything that you need to be worried about. You can also get valuable information regarding your results and have a better understanding of what exactly you need to do to change in order to keep yourself healthy.